Watch this page as the season goes on for close-up shots of your favorite club. 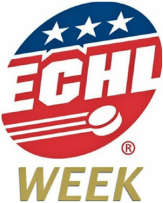 And select the button below to watch the "Kelly Cup" ECHL Week episode from June of 2018. The indy fuel skate on to the ice on Jan. 12, 2019, wearing uniforms based on the "Spongebob squarepants" tv show.